JayDez Tech: Fire in the Comptuer! testing out some more brushes, and just in general playing around. To create the backround I just stroked it a couple times with the default brush. 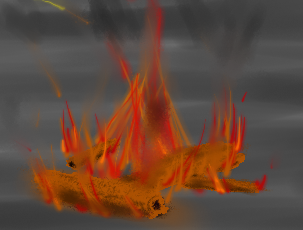 I then used an oil-pastel like brush for the base of all the logs, and after that used the charcoal brush to give the wood a slight texture. 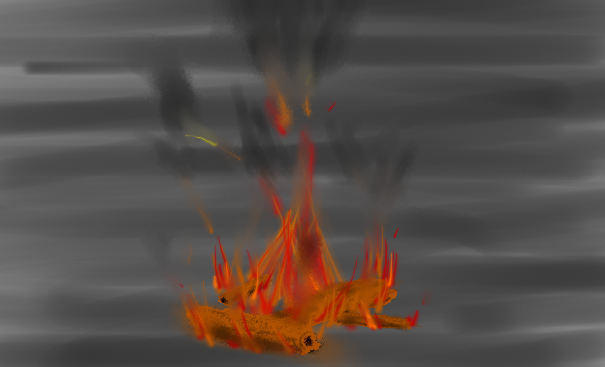 I used the glow brush (with different colours) to create all the flames, and finally went over certain areas with the blur brush to give it the look of gas coming off the fire.